Where I live on the east coast, in Flatrock, the Fireweed began to show up near the end of July, but didn’t blossom until we got our first hit of warm weather in August (July 2015 was cold). 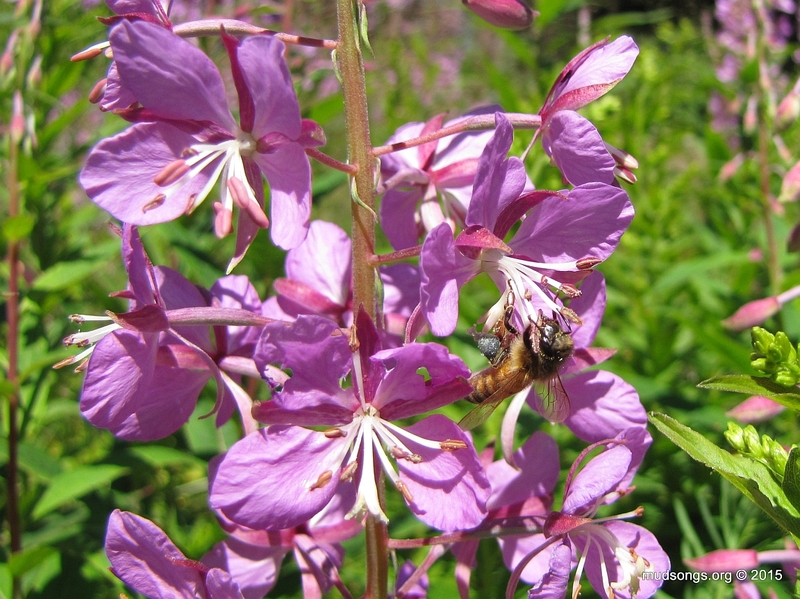 Fireweed honey is virtually translucent, or diaphanous if you want to get poetic. 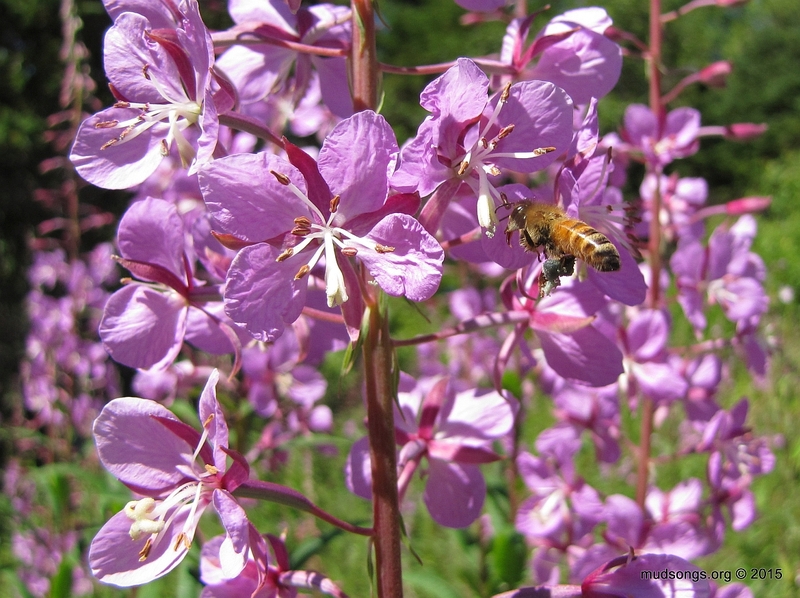 Fireweed honey has a spicy, almost citrus flavour to it, though to my tastebuds, it’s almost flavourless. Or as some would say, delicate. Whatever it is, it provides honey bees, bumblebees, yellow jackets, you name it, a strong supply of nectar and contributes to possibly the most significant honey flow for Newfoundland honey bees before Goldenrod kicks in. My bees have shifted into honey-making mode big time. SEPTEMBER 10, 2015: The Fireweed has been drying up for the past week or so. There’s not much left in bloom, just a few stragglers here and there. It seems to have a similar shelf life as the Honey Clover. The height of its bloom was in August, but a blooming date around the first week of August to about the first week of September seems like a fair estimate, at least for this year. Goldenrod began to appear near the end of August. I’ve noticed Japanese Knotweed has begun to blossom in the past few days in scattered places. All these nectar and pollen sources keep overlapping. There’s hardly a nectar dearth for the honey bees around here, though I believe the Japanese Knotweed could be the mark the end. AUGUST 1, 2017: Honey bees in slow motion on Fireweed shot on my smart phone and posted on Twitter. 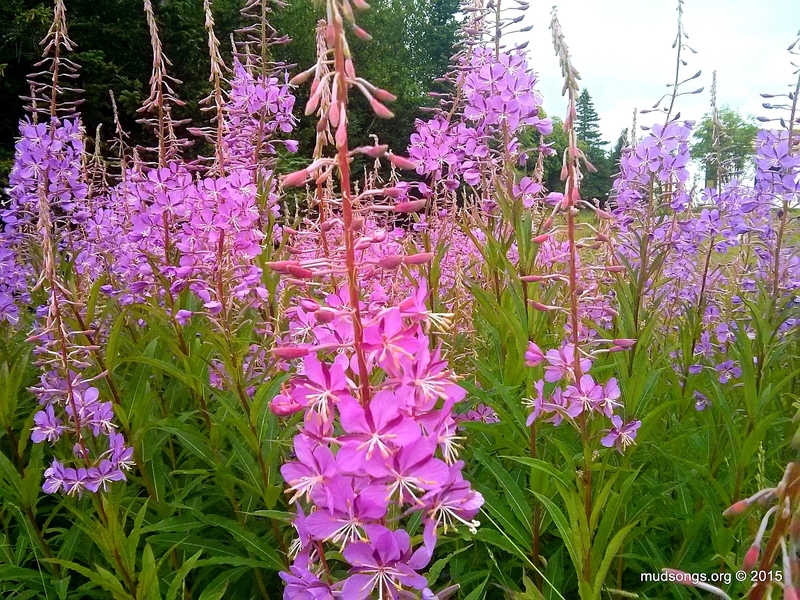 The Fireweed showed up by the last week of July this year. The weather between March and June was very cold. 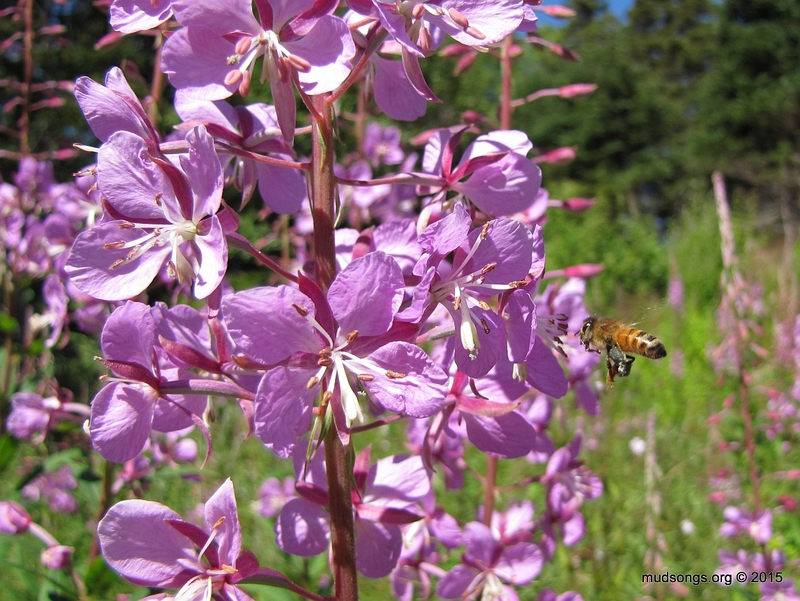 This entry was posted in Fireweed, Flowers, Goldenrod, Honey, Japanese Knotweed, Month of August, White Sweet Clover, Year 2015 and tagged Newfoundland Honey Bee Forage. Bookmark the permalink.